On the horizon for families of all stages is Terrene in Brentwood. 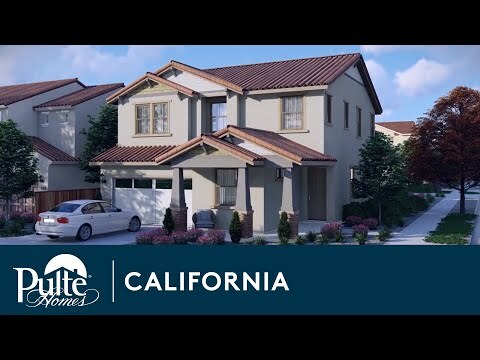 Earning high marks for single-family living in a top ranked area will be 326 two-story homes with Life Tested® floor plans, community parks, and no HOA. Academically acclaimed schools and proximity to Downtown Brentwood and Highway 4 further enhance this ideal neighborhood location. *Terrene is open for sale from Bella Verde at 26 Redberry Loop in Brentwood. The life you want to live is waiting for you at Terrene. Explore this community and see for yourself. This three-bedroom Waterville suits families that start their days at a casual cafe, and end with movies in the gathering room. Three bedrooms plus a loft adapt to ever-changing lifestyles that desire space and socializing at any age in the Fifth Avenue. This four-bedroom Boardwalk with an open floor plan suits prevailing lifestyles that blend families and friends. This four-bedroom Lakeview with a loft and den brings families closer in smart and spacious living areas for selective owners. Entertain with ease in the Ellensburg, a thoughtfully-designed plan featuring a large kitchen that flows to the gathering room. Occasions of all sizes can be accommodated and memorable in the four-bedroom Quincy, designed for modern family living. Varying generations of families can call the Roslyn “home” with its flexible four-bedroom design for wide-ranging needs. The largest plan, Dahlia, combines five bedrooms with spacious additional living areas for the ultimate in Brentwood living. The young and young at heart will revel in a community that balances work and play. Dog lovers will frequent its community parks, while weekend warriors hike and bike miles of trails. High-ranking schools, and Bay Area employment serve dedicated students and professionals. Terrene Families, foodies and fashion followers will enjoy nearness to Brentwood entertainment, eateries and eclectic retailers. Outdoor enthusiasts can test miles of local trails, followed by a glass of wine at many family-owned wineries. Local culture and conveniences also abound, while the Bay Area is easily accessed by major commuting corridors. Named “Playful City USA,” Brentwood offers 85 parks and recreation centers in which to play. For a limited-time, receive a washer, dryer, refrigerator and window coverings for your new home at Terrene on new purchase agreements signed by April 30, 2019. Terrene Sales Team is Open Offsite! The Terrene models are currently under construction, and the sales team is open from the Bella Verde Sales Gallery at 26 Redberry Loop in Brentwood.